In 2016 just shy of 150,000 foreign nationals naturalised as British citizens. 8% of applications were rejected, the majority because of failure to meet the “good character” and residence requirements. This comprehensive but accessible ebook guides applicants for naturalisation though the process successfully, helping them to avoid potential pitfalls. We explain what the legal requirements are, which rules are flexible and which rules are mandatory and cover residence requirements, excess absences, breach of immigration laws and good character issues in depth. Examples and case studies are used throughout to illustrate complex points. You can download the first few pages for free (click here), including the contents pages. This book is great. It is really useful for those who are going through the process of applying for naturalisation as it is clear and concise yet with enough detail to signpost practitioners to further resources. I found this guide very complete, addressing all different aspects required to submit a (hopefully) successful application. All requirements are exploited in detail, including potential weakness to be well considered. which makes the job very well. i recommend to all who is not awear of new changes in uk law. it is quite a detailed and helpful booklet for practitioners, covers almost all topics which are looked at in practice. Excellent. 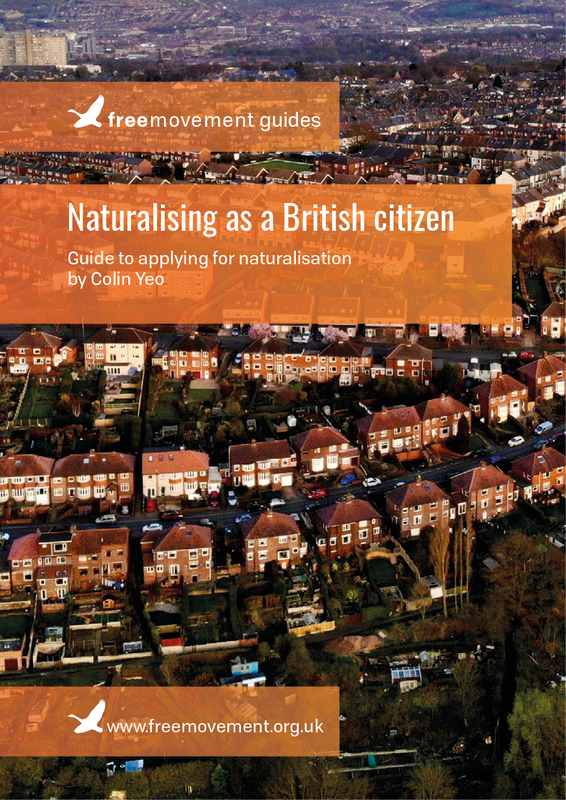 I’ve just started to research applying for British citizenship, this e-book was the first thing I read on the subject. It provides a very good, clear summary, I understand what I need to do now. Strongly recommended and well worth the money!